Cocogreen’s new wetting and water conservation agent H2CoCo triumphed in the Best professional product/service category at the Grower Awards 2016, run in association with Horticulture Week. “H2CoCo helps soft fruit businesses improve productivity by improving water, fertilizer and labour efficiency in coir grown crops,” explains Cocogreen commercial director Thomas Ogden. ”Delivering tangible benefits throughout the crop’s lifetime, it not only saves valuable time and water during set up, but makes compressed coir growbags more time efficient to lay out, and therefore highly attractive. Non-ionic and pH neutral, H2CoCo’s InstaWet technology delivers faster decompression of compressed coir compared to standard wetting agents. In the process, rehydration time is up to 50 times quicker. It has a 3 in 1 mode of action - wetting and spreading agent, penetrating agent and re-wetting agent. 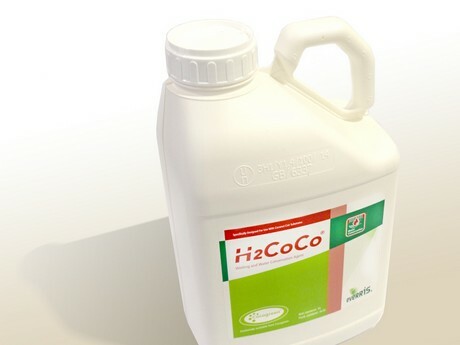 At the start of the crop H2CoCo promotes quick and total wetting of the substrate - up to 50x faster. Typically the rewetting process creates a lot of run off water. Using H2CoCo rehydration time is significantly reduced, saving time, while the volume of water used is significantly reduced aiding efficient water management. When H2CoCo is used throughout the growing season, bags have shown stable improvements to moisture levels and distribution throughout the whole coir substrate, while overall irrigation and fertilizer usage has been reduced. Helping to reduce production costs and helping growers comply with the SUD. H2CoCo trials in field-grown tomatoes and other crop in the USA, carried out by Freedom Ag Research, showed a comparable yield was obtained using 75% of the normal water when using Cocogreen coir in combination with H2CoCo. “Interestingly the product also brought on earlier yields, which is important for the UK as the price of fruit is higher earlier in the year,” says Thomas. 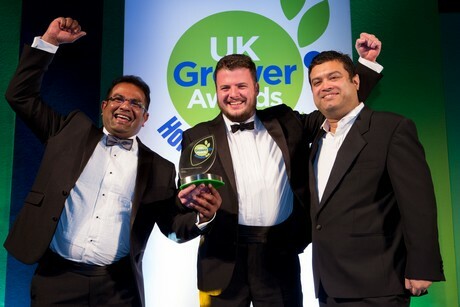 Cocogreen also sponsored the Soft Fruit Grower of the Year category, which was won by Berry Gardens grower AJ & CI Snell, of Windmill Hill in Herefordshire. Run by company partners Anthony and Christine Snell, the trophy was presented to farm manager Tom Deards. AJ & CI Snell grows 1000t of strawberries plus raspberries, blackberries and blueberries, plus 700t of conventional and soil association organic blackcurrants. The UK farm has a 2000t capacity packhouse plus a 1000 pallet freezer store.